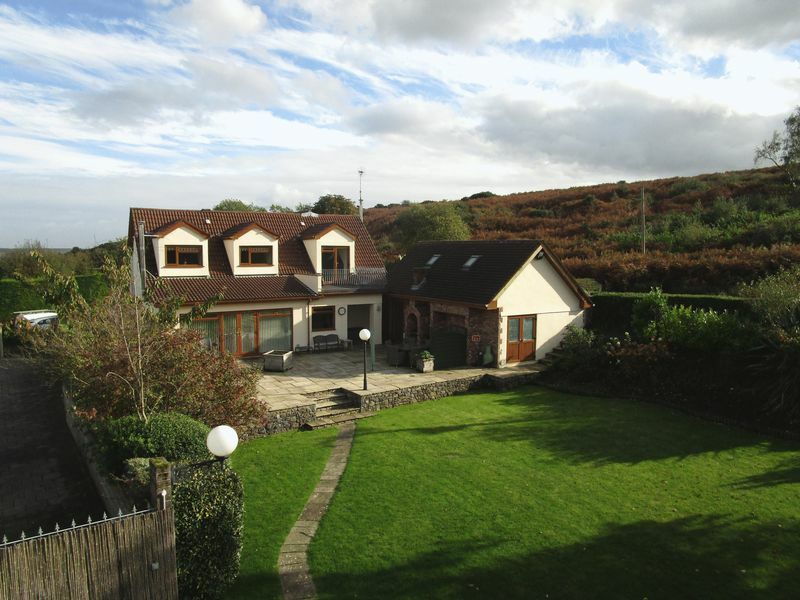 Mountain View is a large detached family home set in private landscaped grounds adjacent to common land, north of Coity Village. 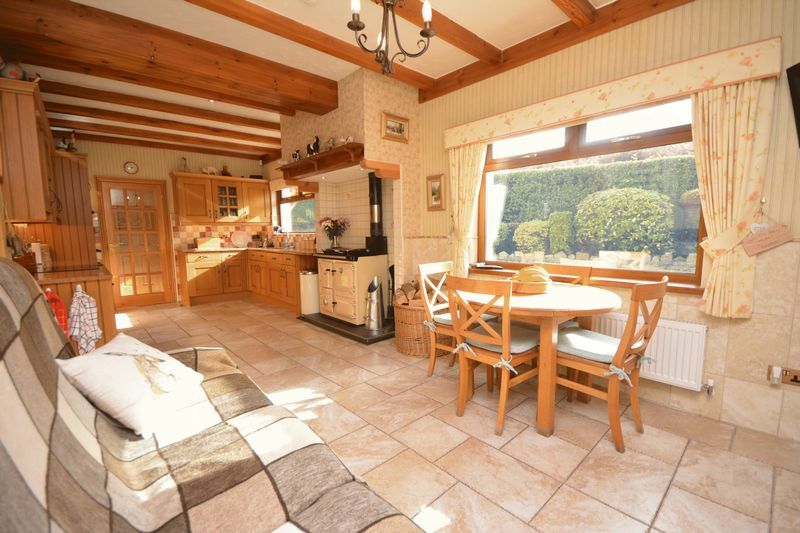 The property offers generous living and bedroom space, plus a range of outbuildings including stabling and kennels and has previously been a successful licensed dog kennels. 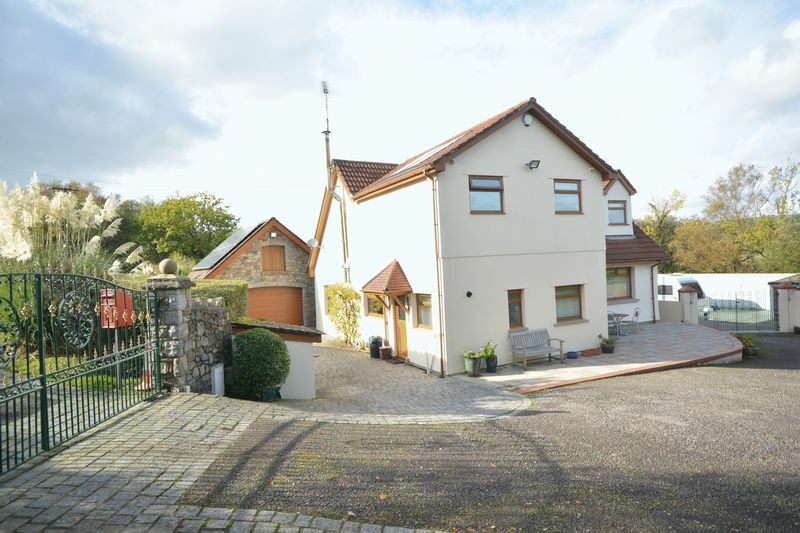 The house is a short drive to Bridgend Town centre and junctions 35 and 36 of the M4. 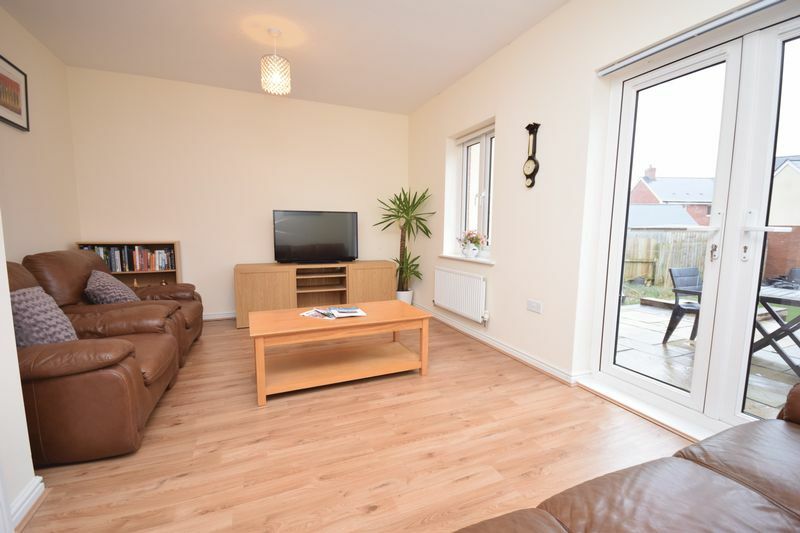 The extremely well presented and maintained accommodation offers flexible living and bedroom space ideal for a large or extended family. The light and airy accommodation comprises: An entrance porch with stone effect ceramic flooring which continues into the Entrance Hall. The Hall has an ornate Oak staircase leading to the first floor and has useful storage below. 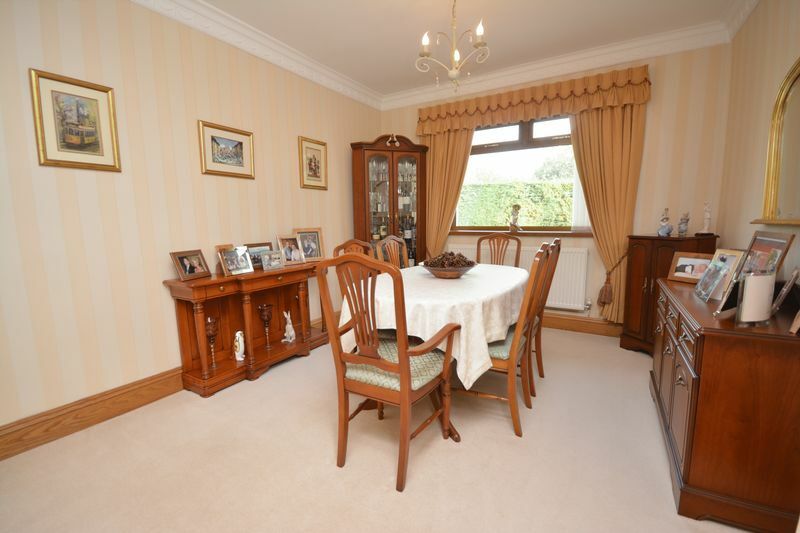 The impressive Lounge/dining room is a large 'L' shaped room. The room is flooded with light from the patio doors flanked by glazed panels which give access and views into the rear garden. There is a further window to the front. 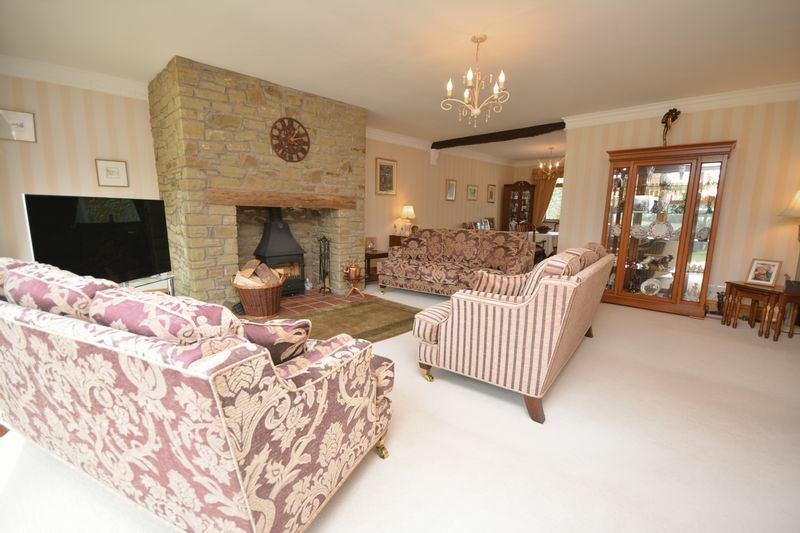 A wood burning stove is set within a stone fireplace. 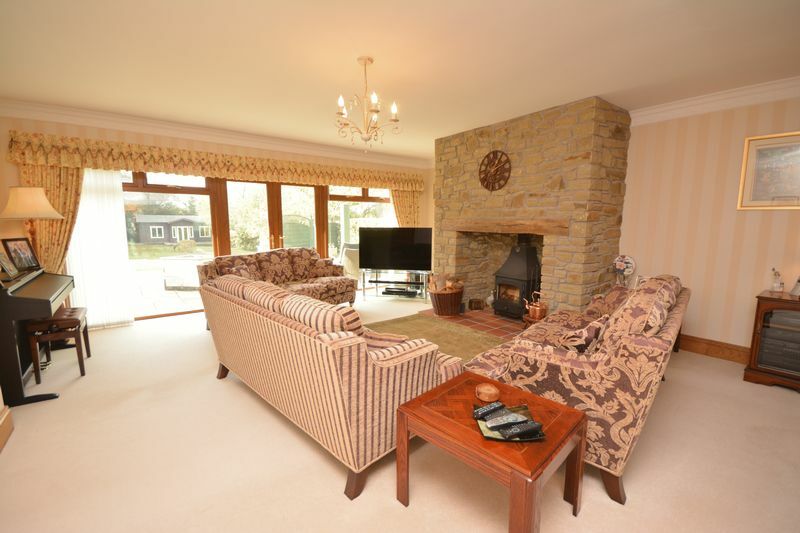 The family room has glazed French doors with fan light above leading out to a front flagstone laid patio and an electric feature fire. 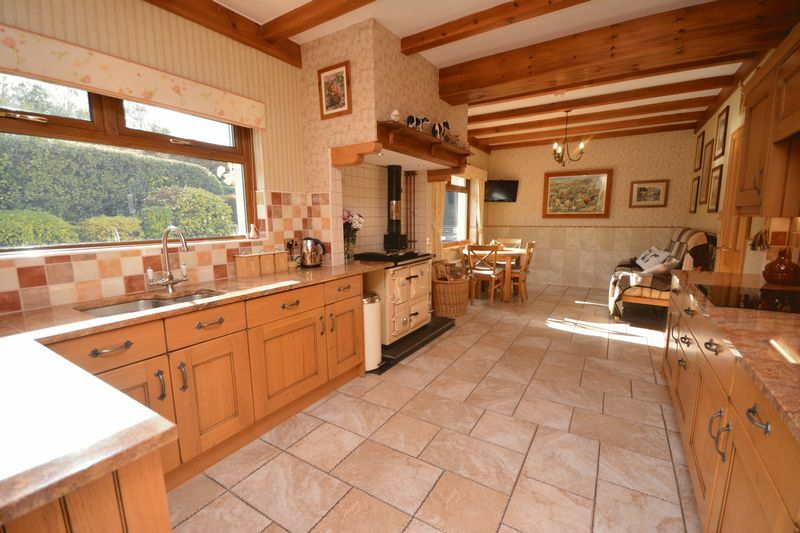 The kitchen/breakfast room is a light and airy space with two South facing windows. It offers an extensive range of light oak base, larder and wall mounted units with complementing honeycomb granite work surfaces with splash back tiling above. 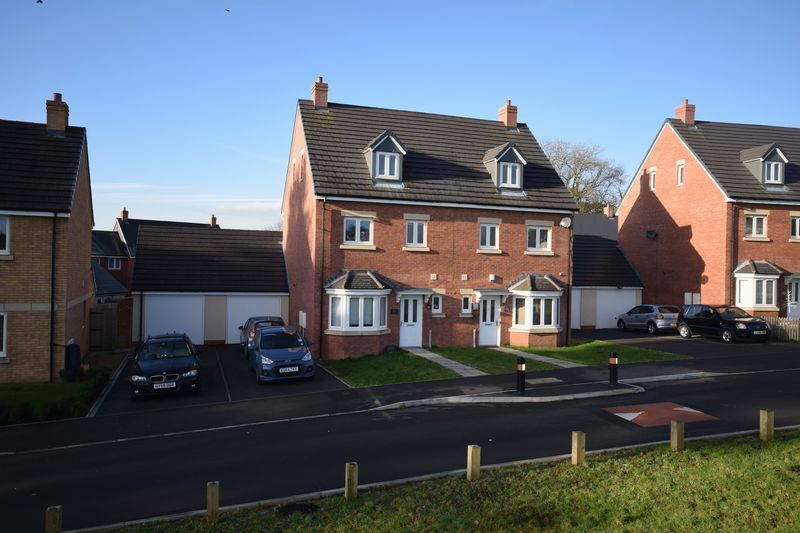 Integrated appliances include; Oven, microwave oven, ceramic hob with fitted cooker hood over, dishwasher, fridge and separate baseline freezer. 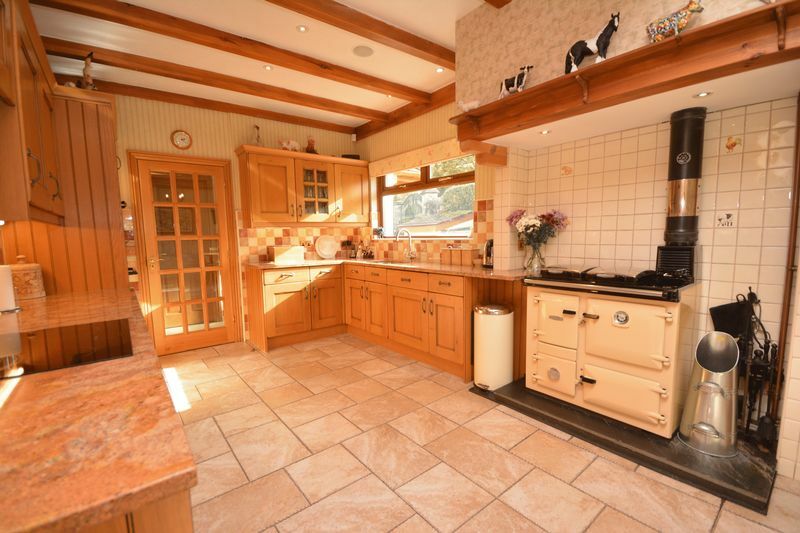 A solid fuel Rayburn Range is set on a slate hearth and provides part central heating to the house and auxiliary hot water to the boiler system. 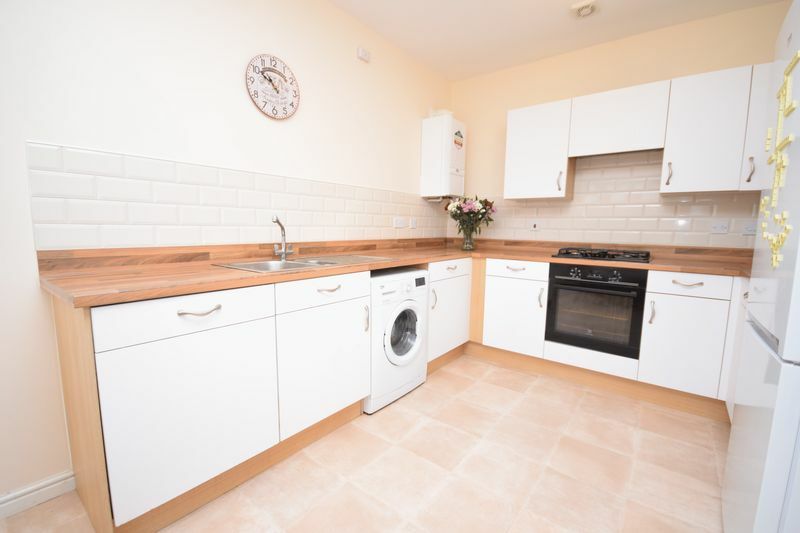 The rear hall / utility room offers a continuation of the same units and work surface as the kitchen. It houses as Worcester gas fired central heating boiler and has space and plumbing for an automatic washing machine. A stable style door gives access to the side. The study with window to rear and obscure glazed door to side, has ceramic tiled flooring and wall mounted coat hanging space. 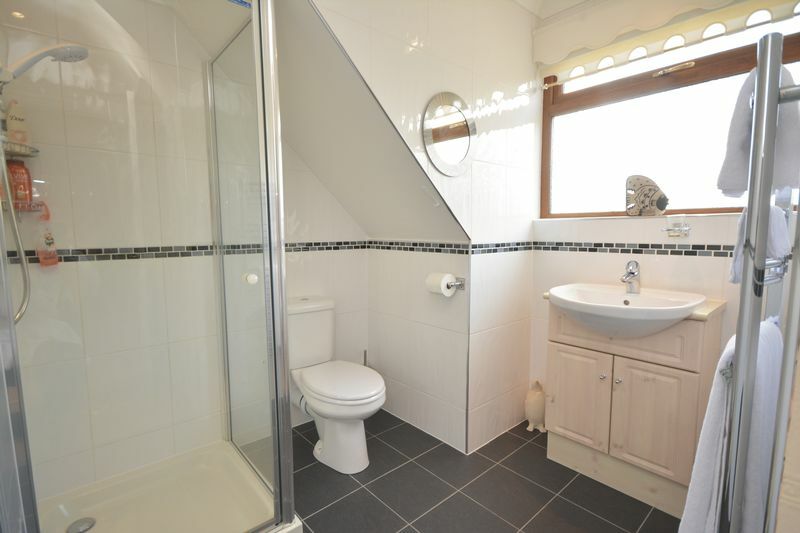 Finally the cloakroom with window to rear offers a white two piece suite comprising: low level WC and wall mounted wash hand basin with full tiling to floor and walls. 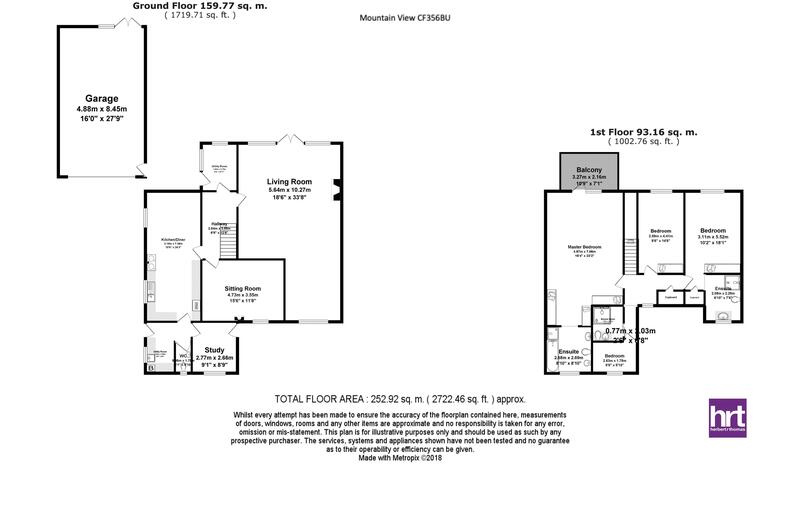 The first floor landing, with window to rear enjoying the far ranging views, has a shelved storage cupboard and space for a desk area. 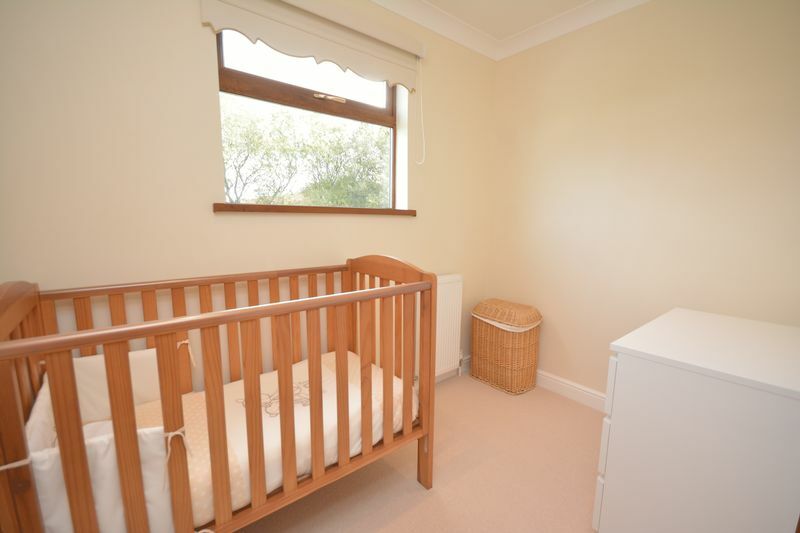 The large master bedroom has an extensive range of built in wardrobe cupboards. 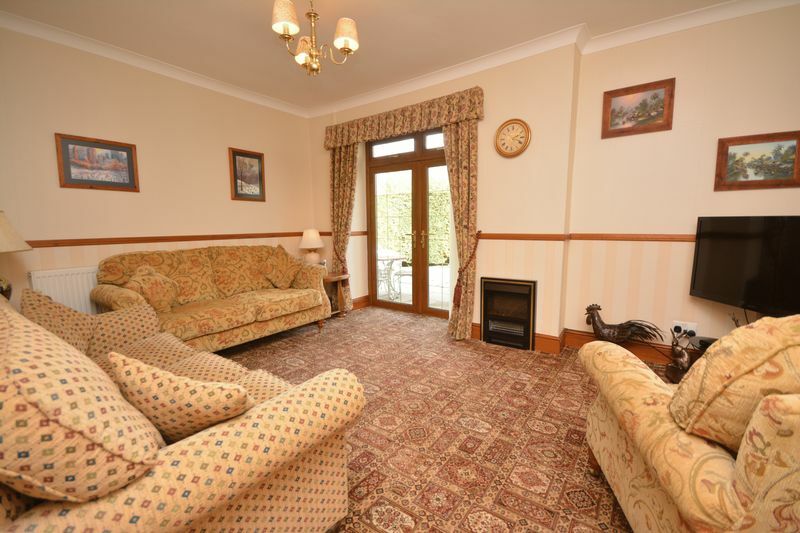 It has a glazed door, flanked by matching picture window, leading out to the enclosed balcony which enjoys views over the landscaped garden. 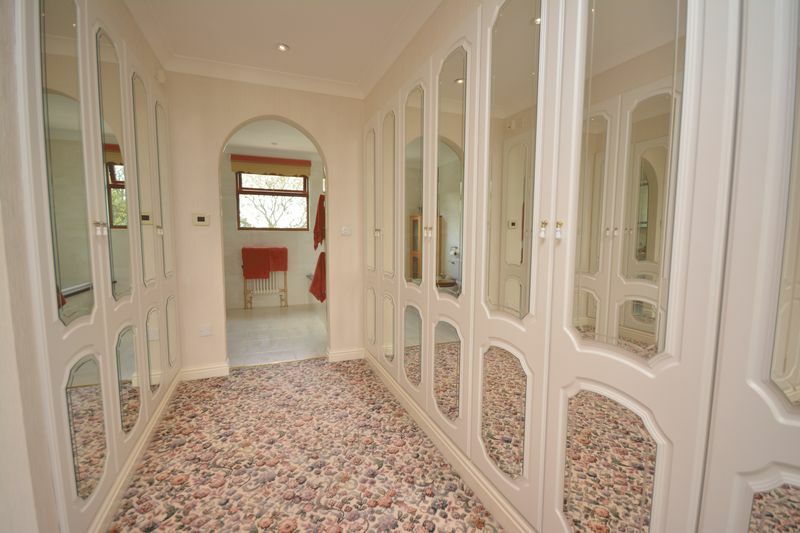 An open archway leads to the en-suite bathroom it has a white five piece suite comprising: double ended panel bath. A shower cubicle with mains rainfall shower fitted, low level wc, bidet and pedestal wash hand basin. 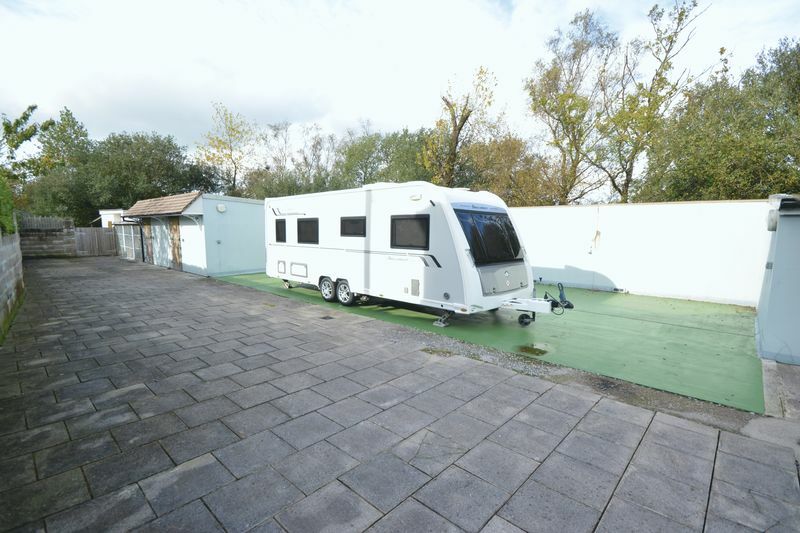 The room has full tiling to floor and walls with underfloor heating and heated towel rails. 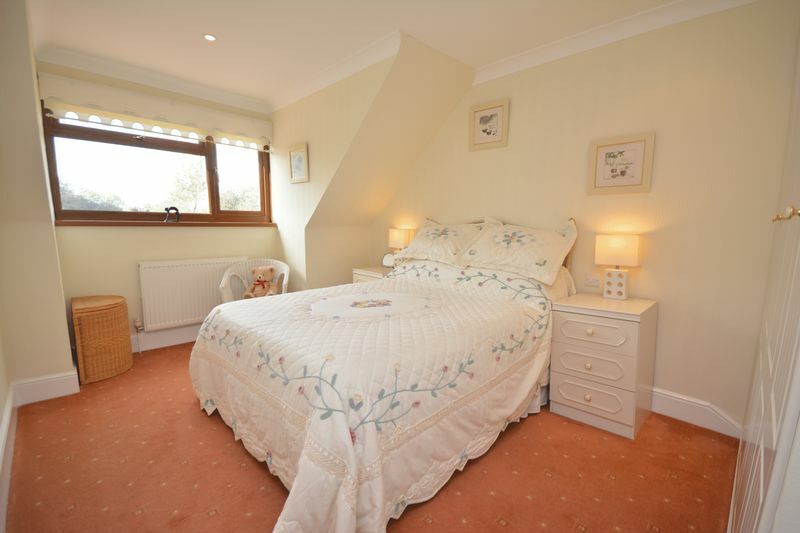 Bedrooms two and three are also comfortable double bedrooms with built in wardrobe cupboards. Both enjoy views over the garden. 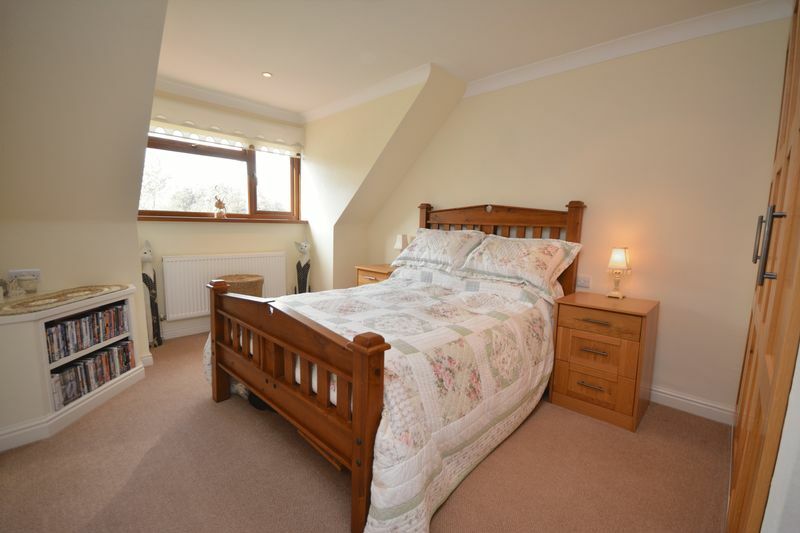 Bedroom two also benefits from an en-suite shower room with a white three piece suite comprising: shower cubicle with an electric shower fitted, low level wc and wash hand basin with storage below. 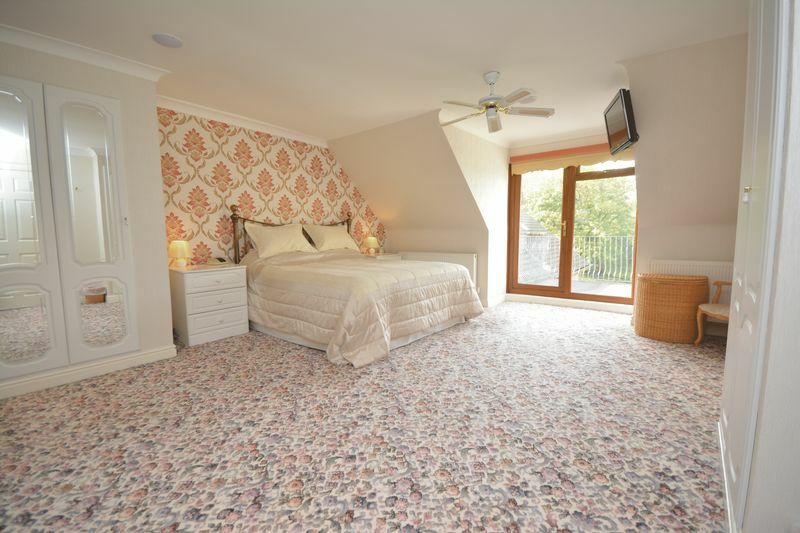 The room has a tiled floor and full tiling to walls. Bedroom four is a single bedroom with window to front. 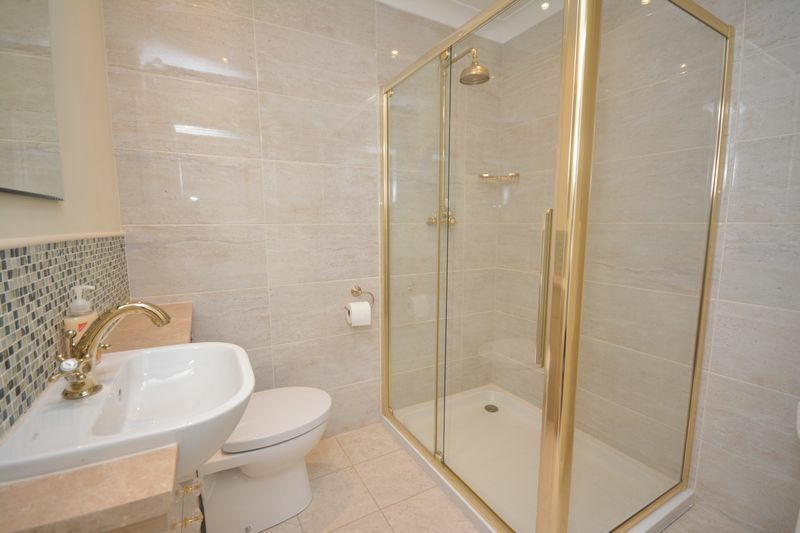 The family shower room has a white three piece suite comprising: double shower cubicle with mains rainfall shower fitted, low level wc with hidden cistern and a wash hand basin set in a roll top work surface with storage below. 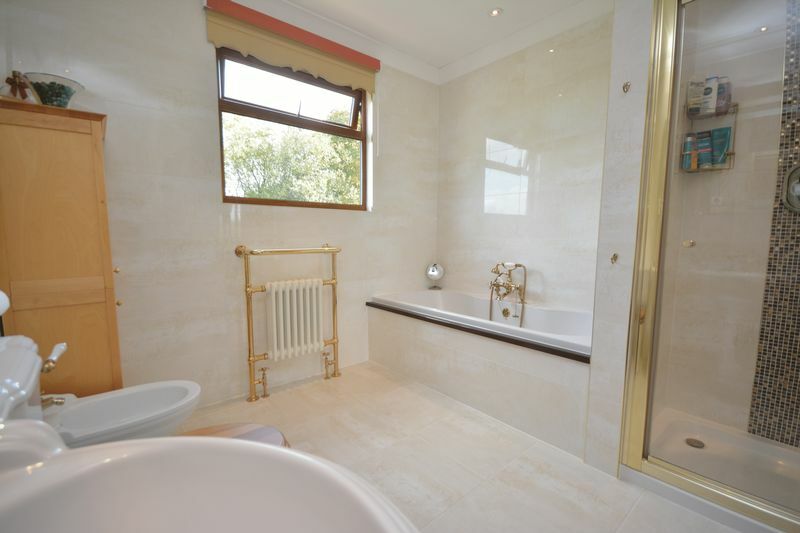 The room has full tiling to two walls and a heated towel rail. 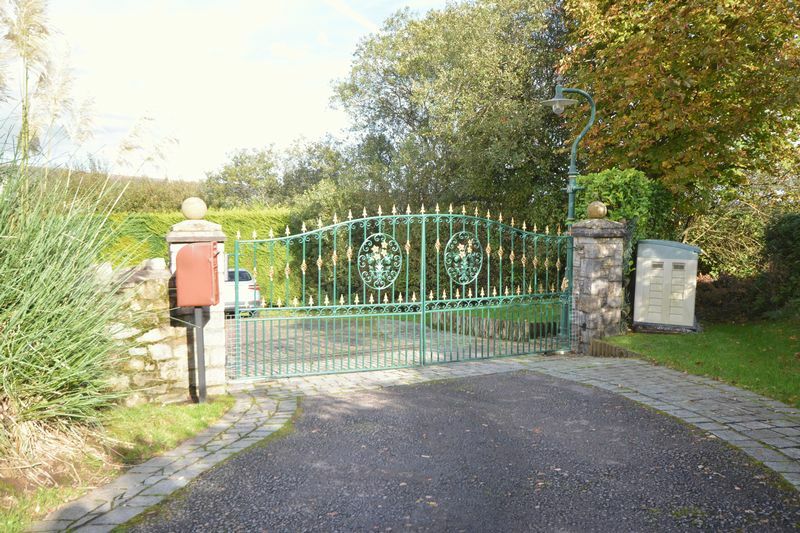 Outside, the beautifully landscaped garden plot is accessed by electrically operated wrought iron gates which leads on to a large tarmacadam driveway / parking area. 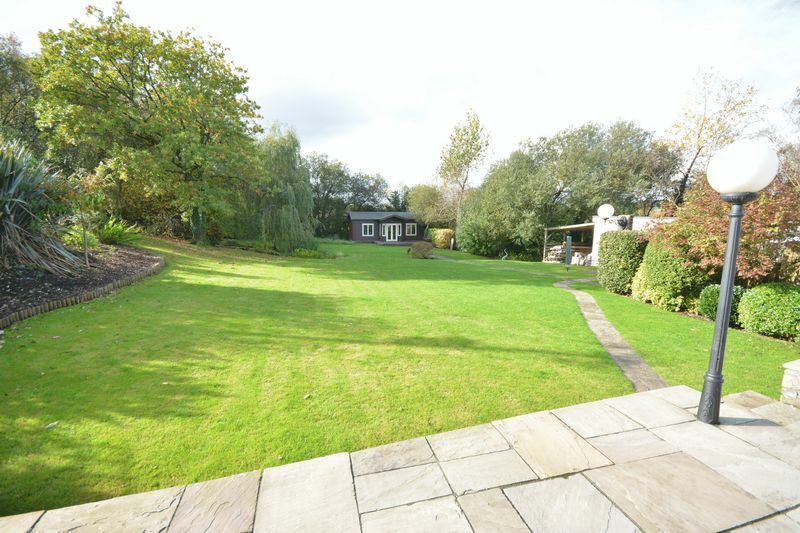 There is a flagstone laid patio which extends from the front of the property and driveway is bordered by a neat conifer and mature hedgerows. 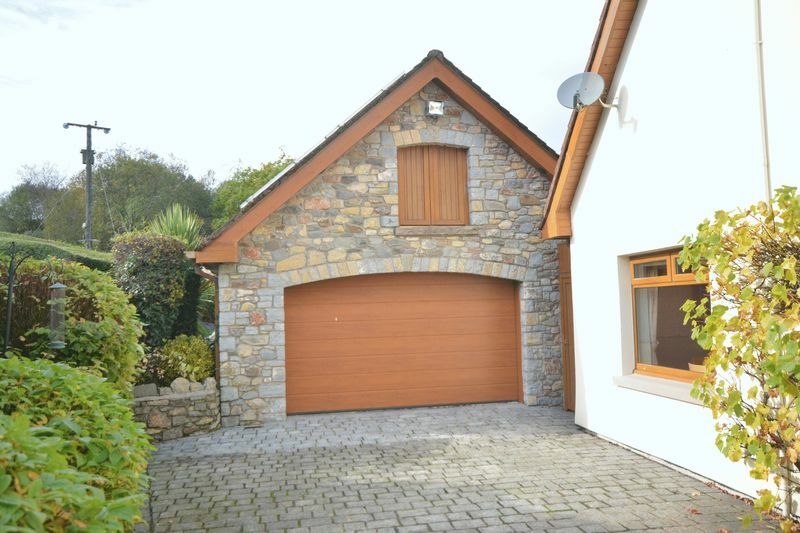 Along the side of the property is granite cobble driveway leading through to the garage which measures 16’ x 26’ 4. 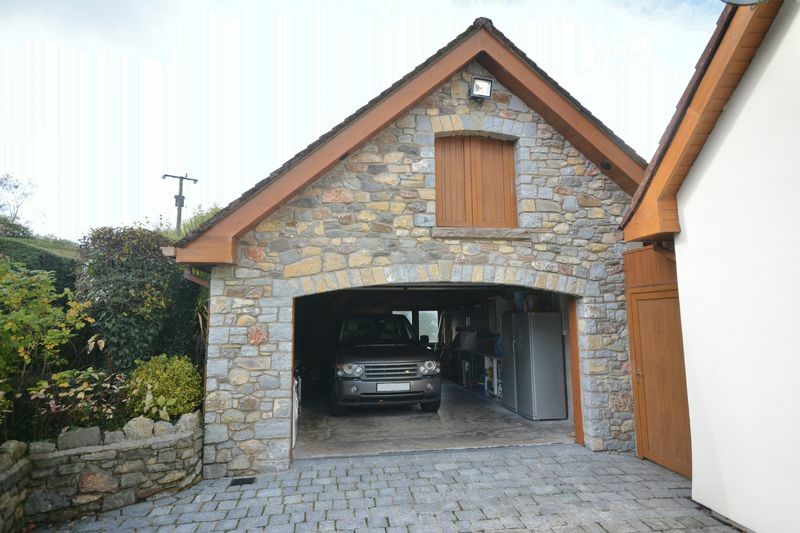 It has an electric operated section up and over door from the driveway, double doors leading into the rear garden with further door to side. 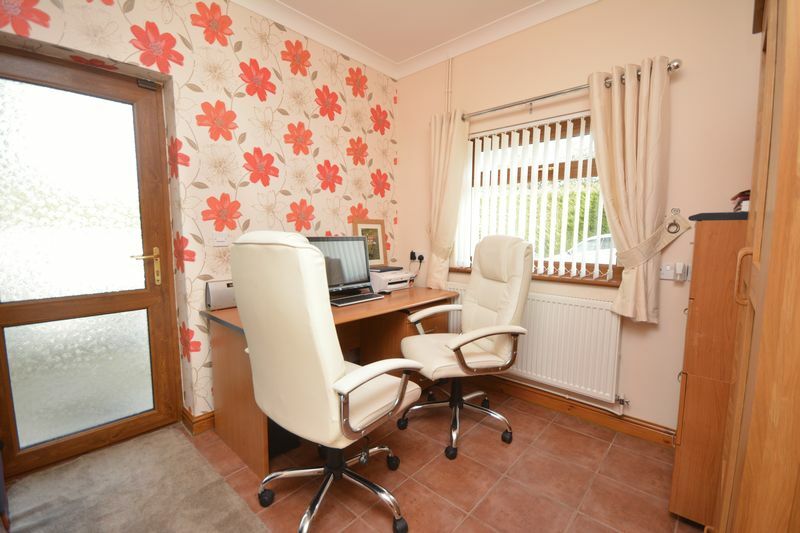 Within the garage is worktop and shelf space plus space and plumbing for white goods. Stairs lead to a useful attic storage room with two Velux skylights to side and double doors above the main garage door. 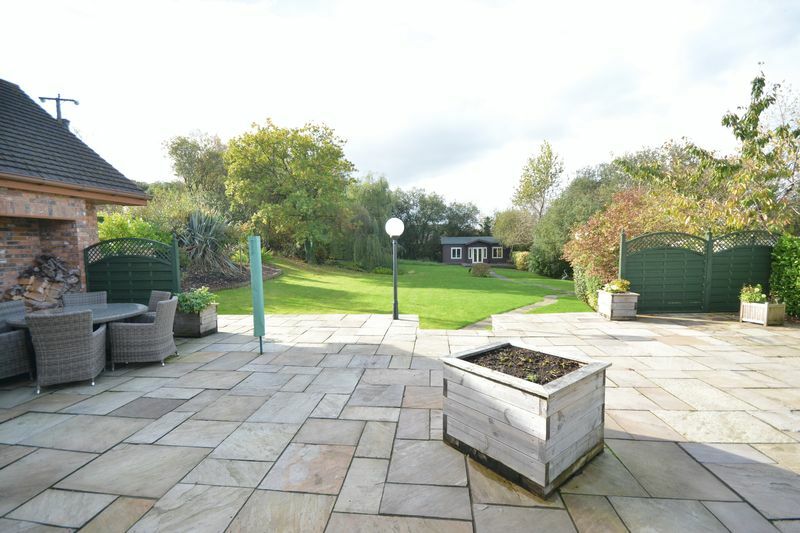 The beautifully landscaped, enclosed, South Westerly facing garden offers a large flagstone laid patio with a built in barbeque and and wood store. A Flagstone pathway dissects the extensively lawned garden, which has low maintenance bark laid shrub and plant borders, mature trees and a sleeper laid bridge over a small brook that is fed from the garden pond. 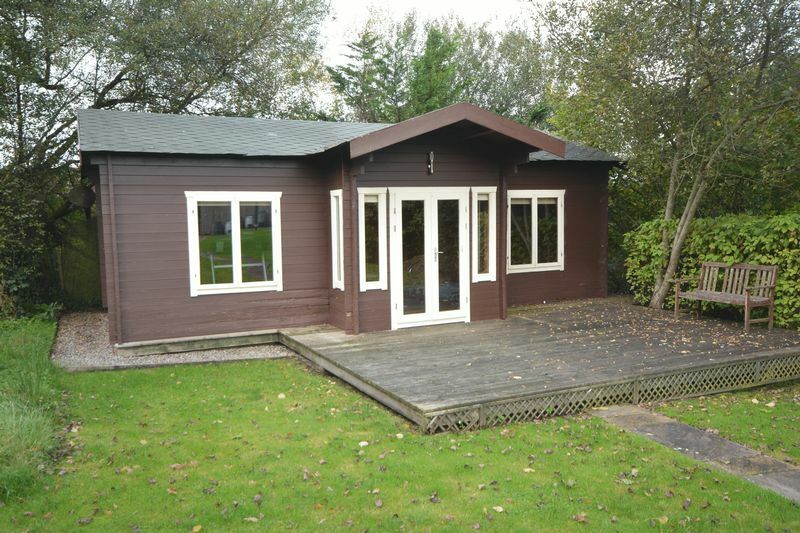 A detached summer house/leisure suite with deck to front, houses a heated swimming pool and space for gym equipment. There is a changing room / storage area which plumbing for a shower to be fitted should a prospective purchaser wish. 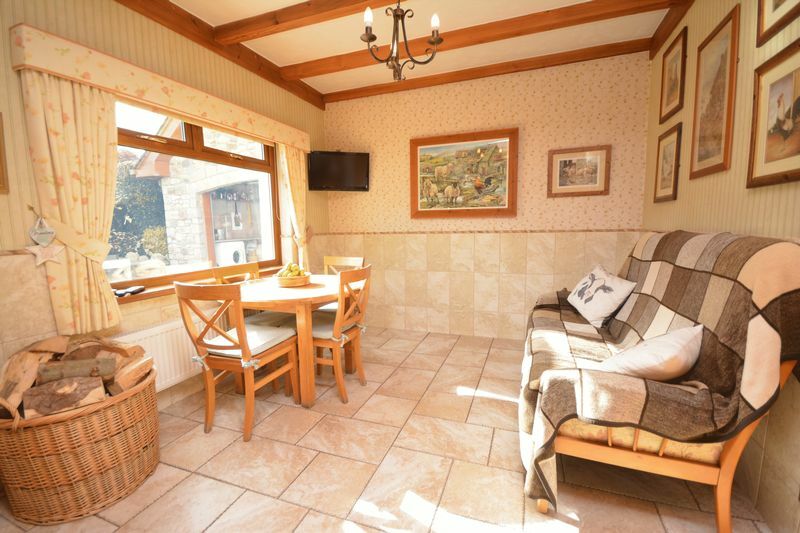 The summer house benefits from a vaulted ceiling with fitted lighting and central fan points with electric panel heaters. 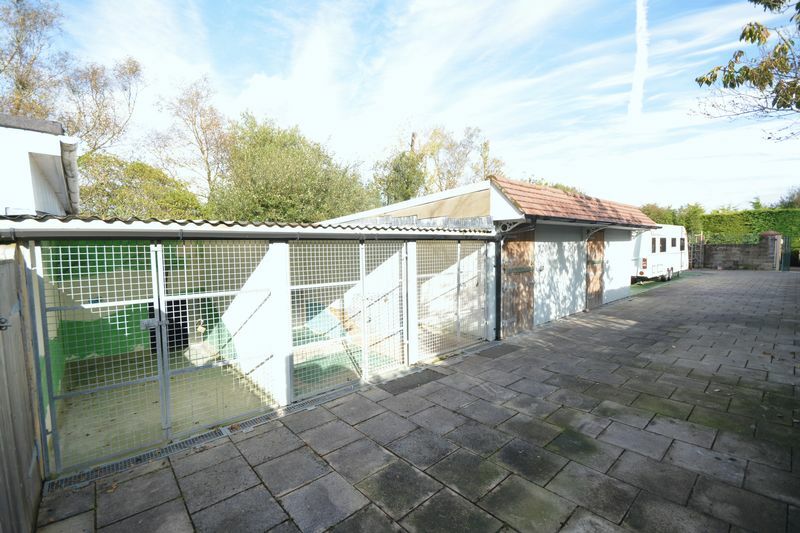 An enclosed courtyard offers additional parking space and outbuildings which have previously been used a licensed dog kennels. 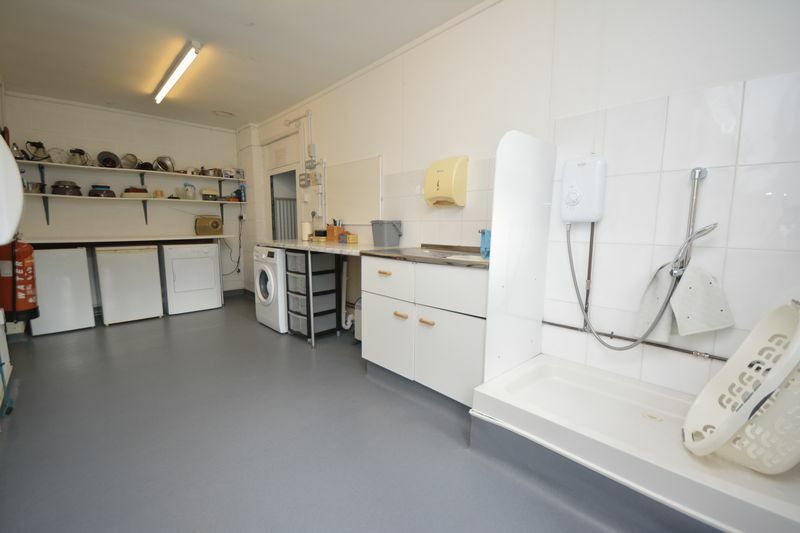 The building comprises: two stable boxes and three dog kennels with self-contained enclosures plus a utility room with dog grooming facilities and plumbing for white goods. 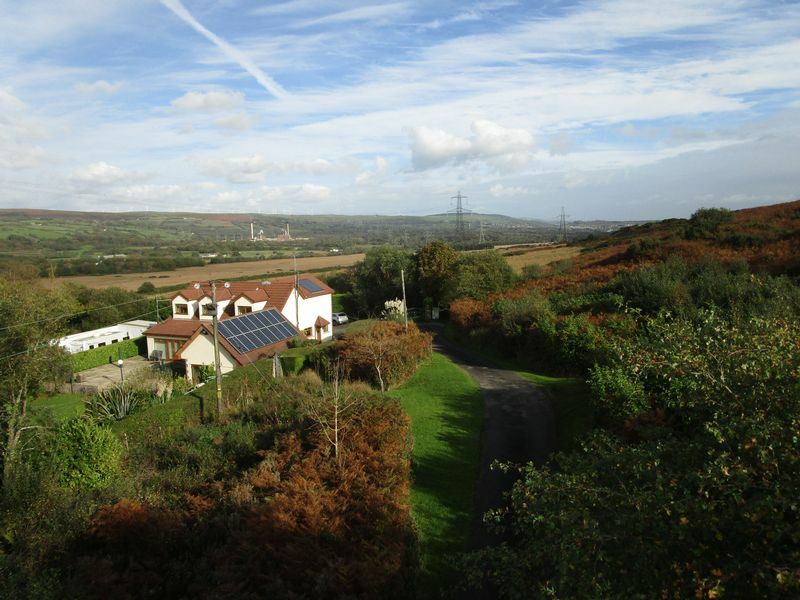 In recent years the owners have added extra insulation to the property along with installing PV solars and Thermal solars which generate an income which results in the property being cast neutral to run. LPG gas, mains electric water Solar panels creating an income of approx. £1800 pa and private drainage. From M4 Junction 35 travel North along the dual carriageway signposted Pencoed. Proceed directly over the first two roundabouts and at the third roundabout take the first exit signposted Heol y Cyw. Continue along this road heading out over the common and into the village of Heol y Cyw. Take the first left and follow this road through the village, proceed approx. 300 yards taking the first left hand turning. Follow this road up the hill taking the last left hand turning before the 90 degree right hand bend. Follow this road out along the common taking the second left which is an independent road leading to Mountain View.